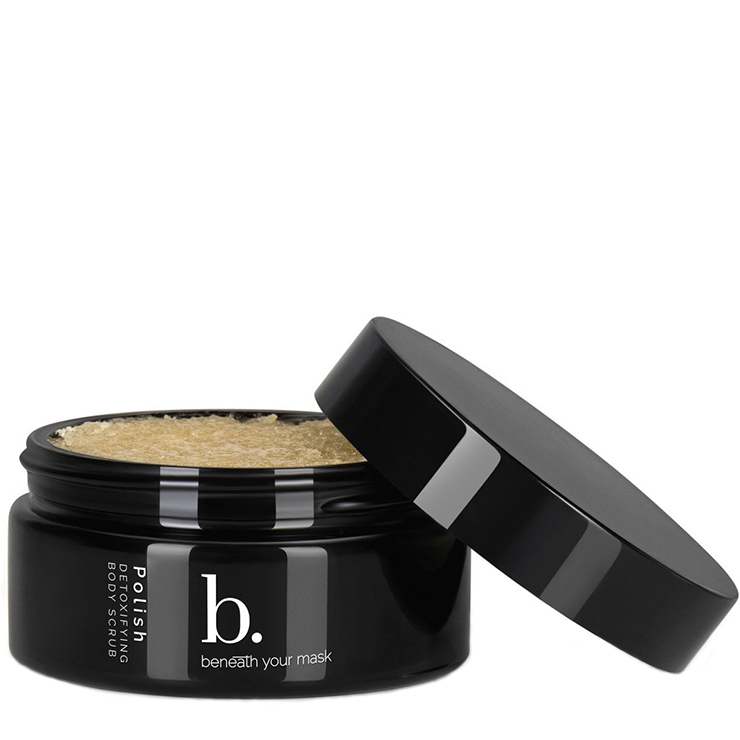 Beneath Your Mask Polish Detoxifying Body Scrub breathes new life into dry, dull, rough skin. Dead sea salts lend a feeling of detoxification, cleansing the pores and improving skin’s appearance. Aloe offers light moisturization that has a soothing sensation for all skin types and avocado delivers a softening effect. Grapeseed and tea tree oils are used to instill a feeling of protection from environmental stressors, brighten the skin, and improve the look of spots, scars, and acne. Skin is left with a luminous, glowing appearance. Massage sea salt scrub onto dry skin in gentle circular motions. Rinse well and pat dry to seal in the feeling of hydration and repair. Follow with a rich body moisturizer. Dead Sea Salt, Aloe Vera***, Colloidal Oatmeal Flour**, Avocado Oil*, Bentonite Clay, Grapeseed Oil*, Sweet Almond Oil*, Golden Jojoba Oil†, Lemongrass Essential Oil*, Lavender Population Essential Oil**, Vitamin E***, Tea Tree Essential Oil*.